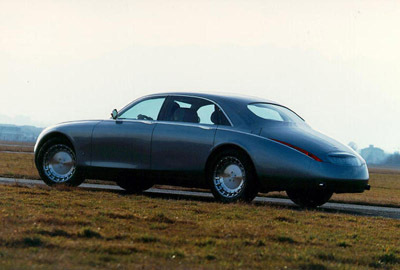 The art deco inspired coachwork of the Aston Martin Lagonda Vignale was penned by designer Moray Callum, and constructed by Ghia of Turin. 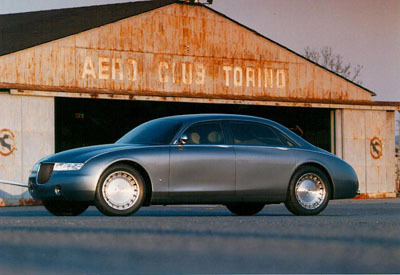 First seen at the 1993 Geneva Auto Salon, the Lagonda Vignale was a concept of what Ford thought a 4-door Aston Martin limousine should look like, and it was shown to gauge public opinion of such a model. Built on a Lincoln chassis, the Aston Martin Lagonda Vignale was powered by a 4.6 litre V8. Only 2 Lagonda Vignale's were constructed, one sold at auction in 2002, and fetched $403,500.